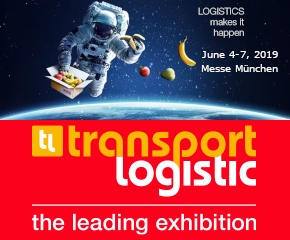 “The future of transport and logistics is Smart”. 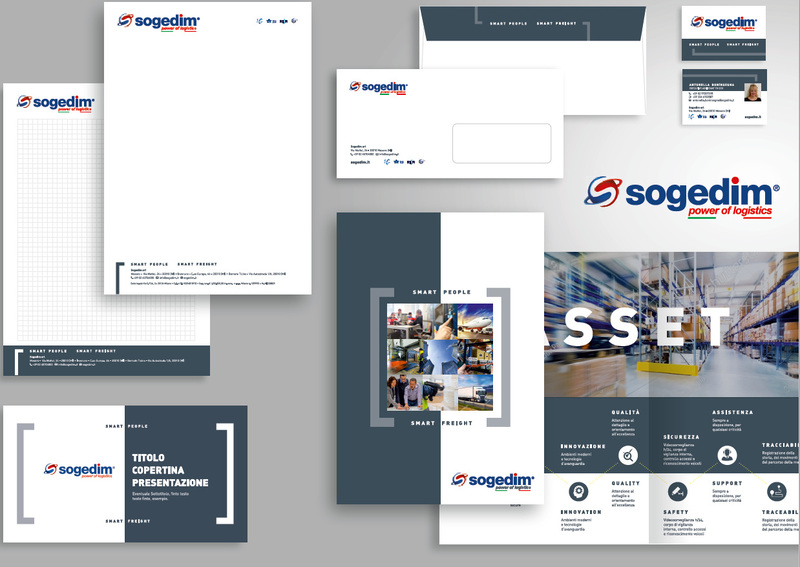 In its constant quest for improvement, Sogedim presents itself with a new brand and a new look of coordinated communication in support of its corporate identity. An important stage of growth for the Group that, after more than 35 years of activity, chooses to express its essence with the new payoff SMART PEOPLE SMART FREIGHT, to enhance the positive soul and the dynamic attitude, namely Smart, which powers Sogedim’s entire core business. If the graphic style of the logo remains the same to remind the experience and the solid history behind the brand, the pay-off is the real innovation. The legacy of the logo is well expressed through the blue and red colors that intertwine in a pictogram to symbolize partnership. But not only: the S that crosses the spherical icon is the road that symbolizes the established leadership in the field of road transport. At the same time, the icon recalls the globe and the global scope of services offered. The blue of the Sogedim brand, a symbol of trust, calm and openness merges with the other complementary, red half, to enhance all the energy, speed and vitality of the Group. Even the Italian flag, which qualifies the excellence of the Made in Italy service of logistics and shipments, offered “tunrkey” “personalized” and “user friendly”, is expressed in a cleaner design. In order to communicate this approach of growth the company makes its own concept of Smart, to offer fast and reliable shipments, but set within a family context, thanks to the active listening ability that allows the Group to be always between and for customers, wherever and whenever the goods are, without exception. Behind the best solution of strategic transport and integrated logistics presented to the customer is the smart mindset of practical, passionate, brilliant and persevering people. Thanks to the high level of preparation and practical knowledge in the field of its personnel, Sogedim optimizes the organization of transport to the specific needs of customers and agents, with selected carriers and suppliers, drawing from an increasingly broader and diversified portfolio of Freight Forwarding services. “For a development strategy that triggers an increasingly intense and virtuous dialogue between manufacturing industries, import export handling and logistics, it is essential to have the support of a competent and motivated staff, who knows how to draw inspiration from the highest standards of service to face everyday challenges “, says Emanuele Codazzi, CEO of the group. Global logistics is in fact experiencing a moment of deep transformation: new solutions are entering the market, so to continue offering the best services at the right price and at the right time, we need an approach aimed at excellence and continuous updating, including technical and computer ones. And it is on this line of maximum flexibility that Sogedim supports companies, with an approach that simplifies operations and procedures for the proposal of a lean service. The constant growth at high performance is based on a sustainable offer that is always adequate in terms of costs and transit times, aimed at transforming the supply chain into a “value chain” by proposing excellent transport solutions in almost every market and industrial sector. “This important evolution in our way of communicating is nothing more than a transparent declaration of the empathic approach that dwells in our staff: this is the added value that makes our organization more complete” continues Emanuele Codazzi. Fabio Canovi, General Manager of the Group, comments: “To be one step ahead in a rapidly changing market, Sogedim has a culture based on strong human capital and zealous internal and external cooperation“. Today, an organization must value human resources and intellectual assets internally in order to be more competitive it is outside. “Our mental attitude of cooperation has allowed us to create virtuous relationships in our eco-transport system (customers, suppliers and employees) focusing on mutual growth, sustainability and innovation. Smart is above all the ambition of our company to go beyond the limits without ever being satisfied in terms of strategic presences, whether they be new partnerships, internal or external resources ”adds Codazzi. The Group, which serves over 350 destinations worldwide, supported by an extremely solid financial situation, is now opening up to new markets. In the discovery of new roads, we always choose the best and the shortest, says the vision. Even if, nowadays, Sogedim on its routes fears no comparison in the future will continue its path united in the same mind and the same judgment. Sogedim is an independent company active in the freight and logistics industry for over 35 years, based in the south-west of Milan. The company has evolved over the years with new depots widening its portfolio of more diversified solutions, from road transport to air and sea, and logistics. From the headquarter, strategically located, all Italian, European or world destinations are easily accessible directly for each type of goods, including ADR and temperature controlled. The synergy between strong partners and the online tracking service are further factors of reliability and security that should be considered for the customer, who can rely on Sogedim’s qualified team at all times, for full service and competitive rates. Regular weekly departures ensure fast and safe connections on all routes, including medium-long destinations. Among the offered cutting-edge services and solutions – in line with market trends – are, by way of example: GROUPAGE – COMPLETE / PARTIAL / EXPRESS LOADS – LOGISTICS – CONTROLLED TEMPERATURE – ADR – FAIRS – EXPRESS PALLETS.